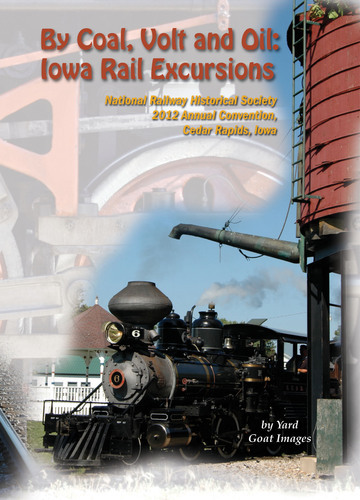 Our two-DVD program chronicles 8 railroad trips which were part of the National Railway Historical Society (NRHS) 2012 Annual Convention held in Cedar Rapids, Iowa. Participants rode behind three different coal-fired steam locomotives on mainline and museum trips, many different diesel locomotives on mainline excursions, and in electric-powered traction cars at two museums. Our program presents all 8 days of Iowa Rail Excursions in chronological order, each with its own chapter. The trips seen here were unique, one-time events that will not happen again. Museum visits included locations and activities not available to the public. This is an historic record that goes beyond a souvenir of the the NRHS Convention. 137 Minutes on 2 DVDs - You will want this in your collection!